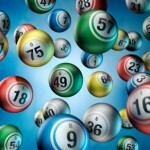 It is common knowledge that around the Christmas holidays, lottery players are more enthusiastic and the number of tickets they purchase increases. This explains why the prizes are a bit higher than usually and whenever someone wins the jackpot, both the media and the community get overly excited. 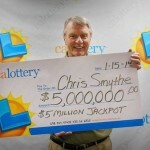 This happened in San Francisco on Saturday when a lucky player scooped a $23 million prize by matching all six numbers. 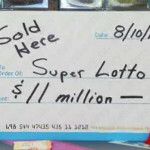 Lottery officials are waiting for him or her to step forward and claim the huge prize. It goes without saying that $23 million can be used for purchasing presents for everyone the winner ever knew, so there couldn’t possibly be a better time for winning the jackpot. 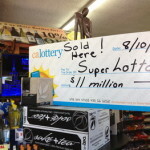 The lucky ticket was bought at Sunshine Center Pharmacy in South San Francisco which means that the owners of the pharmacy will also cash in on the player’s good fortune. It is customary for the retailer who sold the ticket to receive a percentage of the total jackpot, more precisely 0.5% which amounts for $115,000. The odds of winning the lottery are roughly one in 14 million, which means that both the player and the pharmacy owner can consider themselves extremely lucky. Whether they regard it as another Christmas miracle or a just reward for their perseverance, winners are advised not to splash out and weave a coherent plan about how to spend the money. Those who stay grounded and don’t let the excitement overwhelmed them, are the ones that benefit from their newfound wealth for many years. It appears like SuperLotto Plus players have a fascination for $23 million jackpots as less than six months ago another ticket owner matched all six numbers for the same amount. So far she didn’t step forward to claim the prize, which is surprising and a bit worrisome because the deadline is set at 180 days after the drawing takes place. If this deadline is missed, the money will return to the lottery which will use it for good causes, meaning that many California schools will receive financial help. Meanwhile, lottery and representatives and the media are trying to unveil the identity of the winner, and they suspect that she is a woman who bought the ticket in an east Palmdale convenience store. The images released to the media are not very clear but if the person depicted sees them it is certain that she will recognize herself and claim the money. 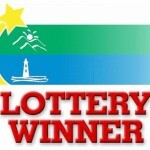 The store owners need not to worry because regardless of who benefits from the $23 million jackpot, they will still get their share of $115,000 for selling the ticket.